Often accused of reading with whizz bang accuracy in a wonderfully unique and effective style. Tarot has played a very strong role in my life, since and I began reading cards in 1988. However my first experiences of connecting and working with intuition started as a very small child. Many of my earliest memories are of sitting with my grandmother, looking into the open fire and telling stories about the colours and shapes that danced in the flames. My other great passion is my art. As a small child, my hands always held something that I could scrawl with to describe the word as I saw it. I drifted away from art as a teenager when in more formal situations, judgement and self-criticism sucked the joy out of it. Though unknowingly, I continued to develop my skills, as it was a natural way for me to learn, explore and understand new knowledge. My studies in Tarot lead me back to art, as I began drawing the cards to deepen my understanding and to use for meditation.Then combined with the healing work that I have done, particularly in Reiki, I began to realise that I could use my art in an intuitive way to help other people understand their situations. My life has held many personal challenges and each stage where I felt that I had hit rock bottom, I sought out knowledge and skills to help me regain direction. This has great impact on the work I do and how I read Tarot. I don't believe in 'good' and 'bad' cards. Life is what you make it! Personal experience has shown me again and again that the toughest times have brought the greatest rewards, even though that is not always apparent at the time. I have trained extensively and worked in many areas of the Holistic sector. 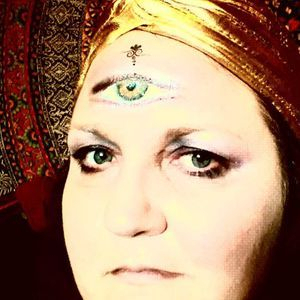 I seek to bring my experience and expertise into providing a creative and personal approach to Tarot. I contributed to Tarot Turn, edited by Tali Goodwin and Marcus Katz. I provided a study on The Last Judgement (Rev) to the first crowd-sourced Tarot Dictionary of Reversed card pairs. A unique reference work compiling 12,000 interpretations by over 100 worldwide professional readers. 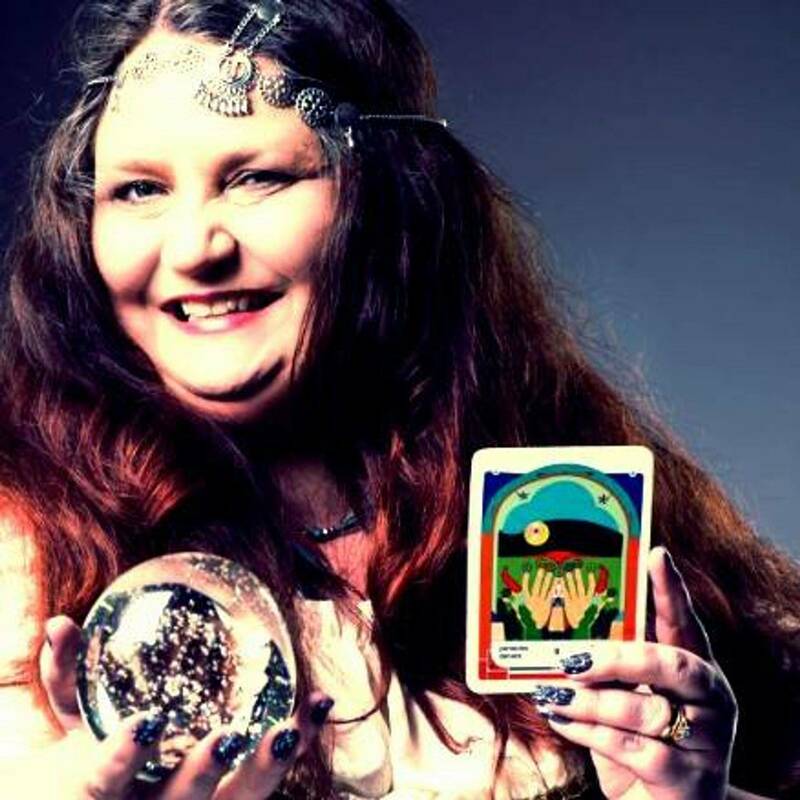 I also wrote tarotscopes for the Leicester Business Women magazine. 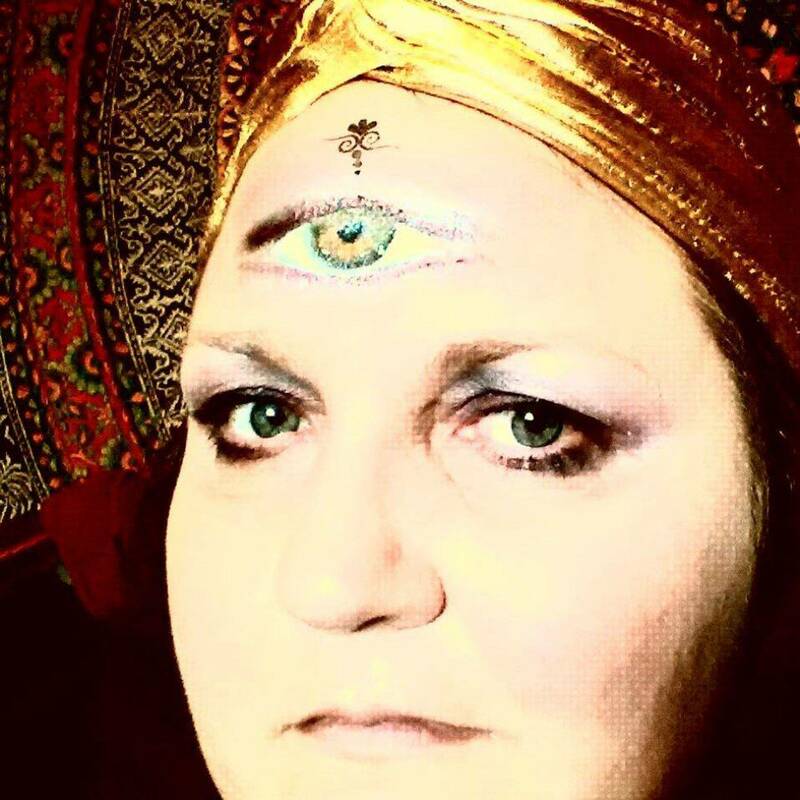 I created Art and wrote Goddess inspired articles for Soul Path Magazine. Also, I was an original member of Derek Acorah's Psychic Ether team where I wrote a weekly Tarot Tuesdays blog. In 2015 I published The Waxing Oracle, a deck comprised of a collection of 60 pieces of my encaustic art that can be used for meditation, divination and inspiration. Karen has a very strong ability with words and puts things across in her readings that really make you think and draws attention to things that you may not have even considered. Her positive nature and good humour is always a bonus. ~ D.A. So, Mrs. Sealey! You have provided me with a synchromeshed dovetail with wonderful words and I EFFIN LOVE the way you put things and the advice you gave and the way you gave it!! Thanks you for my reading. Yes, things I was coming to know already, though, coming to know. Your reading is a wonderfully swift kick in the arse to STAND UP BOY! GO!!! ~ J.H. Just wanted to say thanks for the excellent reading you carried out for me.The very interactive style that you have as well as ensuring that the clients energy comes into your work is so important and you were able to do this so easily. You were instantly able to put me at ease and you were spot on for many of the things which you mentioned. Your positive energy has already brought in new opportunities for me and my business (and it has only been a day) ? I have already recommended you to many of my friends as it was as brilliant session and I hope to book in again later this year. Your approach has distilled many of the fears I initially had in my life and work and I honestly cannot stop telling people about how brilliant this was. Great work Karen!!! ~ H.M. I have had many readings from Karen over the last few years. Her readings were very helpful through the turbulent times. She uses her life experience and an acute sensitivity to offer suggestions and the way she sees, meant I listened to her. ~ A.W. Had a fabulous reading, it was spot on, accurate & intense, would highly recommend. Thank you Karen for a confidential, private reading today, very impressed. ~ B.J . Just to say thanks for yesterdays crystal and card reading. Your insights were extremely helpful and accurate. I feel that I am on track with my plans and the reading has confirmed this. ~ J.T. Karen - you sent me an amazing tarot reading on a very difficult day! I was stunned by the accuracy of the issues you identified and extremely comforted by the advice and help you offered. I highly recommend a reading by you and will definitely be returning! Thank you so much! ~ K.M. I have had readings from Karen that made hairs on the back of my neck stand up! She has a genuine gift, see for yourself!!! ~ A.W. I really enjoyed this reading with your stones. It showed me so much... defo made my path clearer... ~ K.H. Yes... am so glad Alison put me in touch with you... the readings you've done have been food for thought for the future. Keeping me focused on the present and releasing the past, this has helped me with my own personal readings... thank you... ~ J.W. Karen did a tarot reading for me via email. Brilliant. Absolutely fantastic. Couldn't have been more spot on. Well worth enquiring for yourself... ~ K.B. Had some wonderful readings by Karen accurately spooky! ~ R.B. Thank you for my reading Karen. Everything you have said/written with great detail, even down to the wording you have used is accurate and with that very uplifting. You have a pure talent and gift!!! ~ N.H.